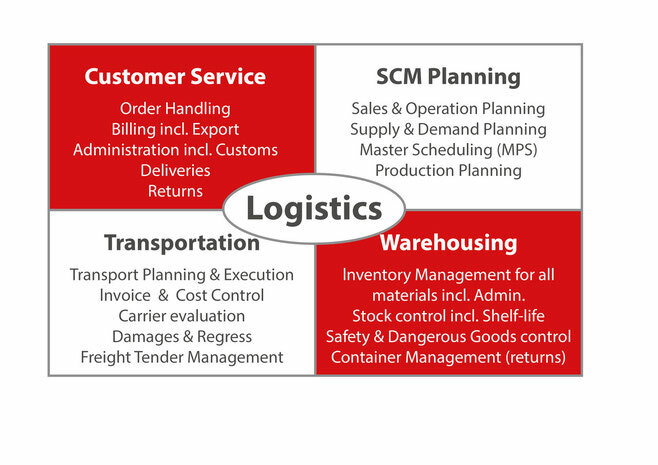 SCM Planning, Production, CS, Purchasing, Logistics, Transportation, Warehousing. Global operating Companies may have a different view on the competences in a global Supply Chain business than local producers. This becomes evident, when 2 local entities (example US/European) working together or after a merge. With the different SCM approach this may lead to obstacles and misunderstandings with negative results on the overall performance. The translation into a common understanding of the elements of planning, the coaching and training of the staff and the final set-up of a new Supply Chain Organization is part of our activities in the SCM fields. For a common understanding of the production and planning methods or Customer Service, Logistics etc. including the use of existing or new tools and ERP Systems you may ask for our assistance. We are ready to support with competence, deep know-how, consulting and hands-on interim management capabilities. Overview of a special project for US Chemical Producer for reorganization the entire Supply Chain Management organization. All shown fields are subject of a reorganization in terms of responsabilities, change of methods and tools with installment of a new ERP System. (JDE). A typical job for competent SCM Global Managers from PLAN50. More than 250 competent Consultants and experienced SCM Interim Managers from PLAN50 will support your objectives to optimize Companies Supply Chain Processes, Production Planning, Production and overall Logistics.